If you’ve ever had dinner at Hart’s or Cervo’s — the pair of restaurants run by Nick Perkins, Leah Campbell, and Nialls Fallon — you know that the vibe can lean very “pre-party.” Cocktails and wine flow, music thrums, and the Mediterranean- and Spanish-inspired menus — while carefully considered — are not what you’d call fussy. But both restaurants are small enough (29 and 48 seats, respectively) that diners are likely to eventually take the party elsewhere. 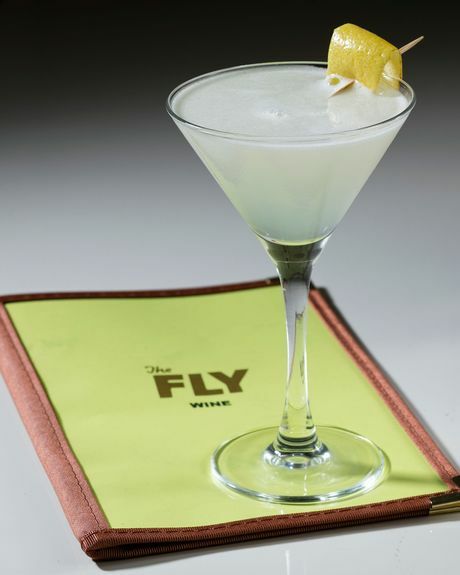 With their newest restaurant, The Fly, the trio hopes to create that next stop. 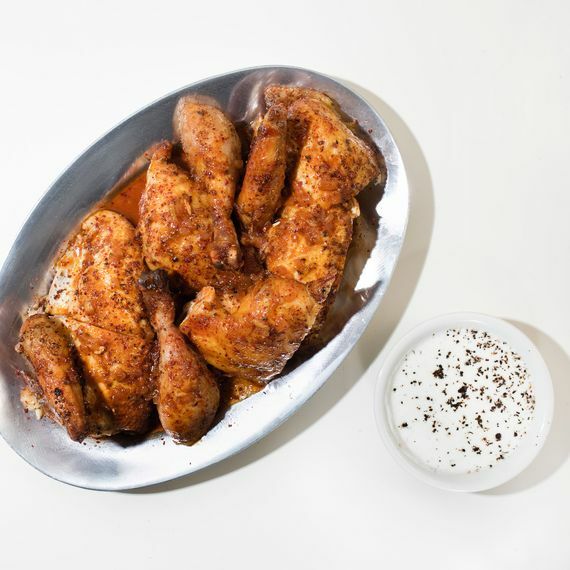 On February 21, Perkins, Campbell, Fallon, and chef-partner Katie Jackson will open the spot with a focus that’s so straightforward, it borders on brilliant: rotisserie chicken, wine, and simple cocktails. The space, near the corner of Classon Avenue and Fulton Street in Bed-Stuy, is also the group’s largest project to date, with seating for about 65 people. Perkins, Fallon, and Campbell tapped Perkins’s brother, Russell, to head up design. The bottom half of the restaurant is all brick-red tile, while white walls dominate the area above. In between are seven four-tops, four booths, and, at the front, a massive, 22-seat wraparound bar that extends along the southern wall and features hanging wine and cocktail glasses as well as dozens of bottles of the liqueurs and spirits that will be used for the extensive drinks menu. Two shelves, backlit with a warm orange light, hold the restaurant’s hundreds of bottles of wine. And once it gets warmer, a window at the front will open onto the street for 12–14 seats of al fresco dining. 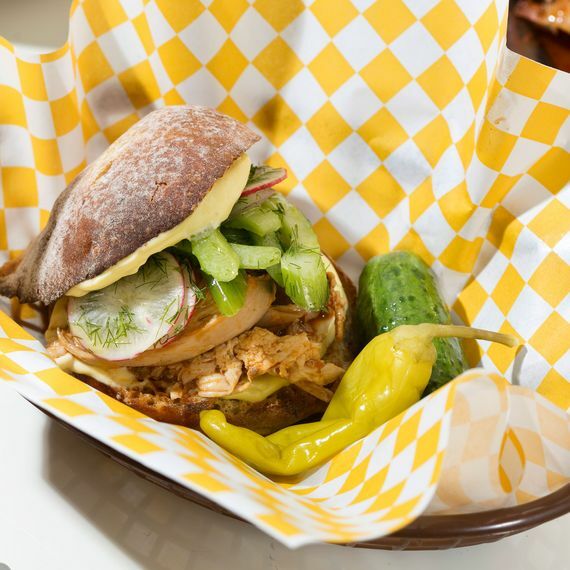 Rotisserie chicken, and the very good chicken sandwich. Photos: Melissa Hom. Most notably, for the first time, Perkins and Jackson won’t be putting together a new menu every single night. 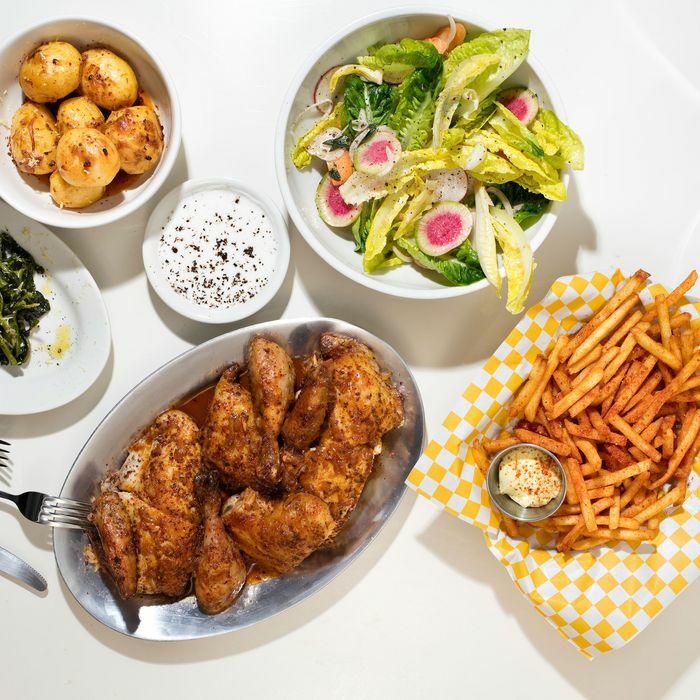 Instead, customers can get a half or whole chicken, served with a yogurt-based white sauce; a stacked chicken sandwich featuring dark meat, celery, radishes, and aioli; plus a handful of sides, including crispy potatoes, seasoned fries that taste like Zapp’s Voodoo chips, long-cooked greens, and a simple chopped salad. 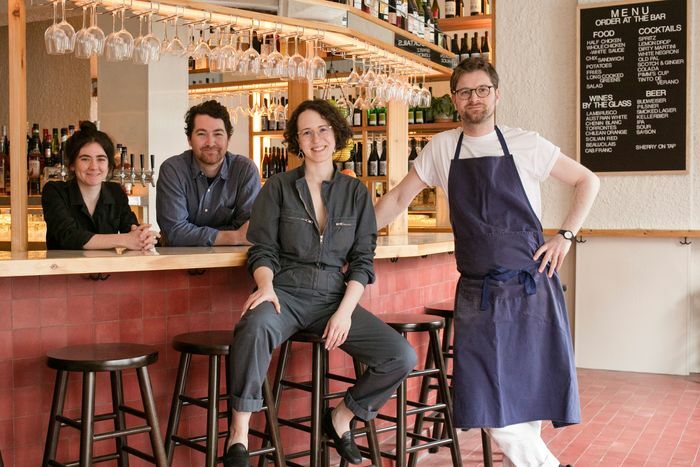 To that end, Fallon has built an extensive natural wine list, featuring bottles from Argentina, Chile, Spain, Austria, Mexico, Greece, France, Italy, Australia, and a handful of other countries that he feels will go well with the pared-down menu. 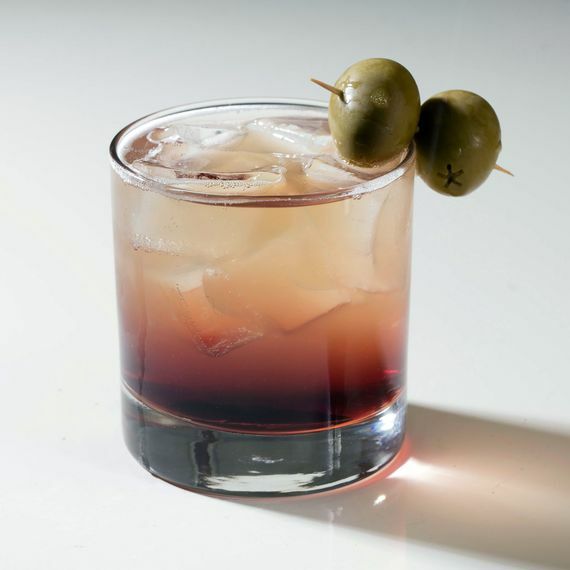 He’s also created a list of cocktails that will read as instantly familiar to even the most occasional barfly — think spritz, lemon drop, scotch and ginger, white negroni, etc. 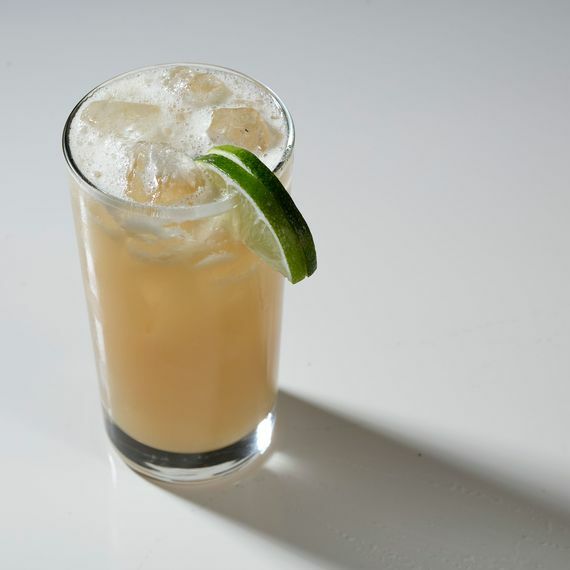 — but which have all been elevated just a bit, like in the case of the lemon drop, which uses limoncello from a maker in D.C. and pulls back on the sugar content, resulting in a drink you could order all night long. “Nialls has a real knack for doing what you want,” Perkins says. “But also introducing you to something that’s a little different.” Eight of the natural wines will be available by the glass for $10 to $15, while cocktails start at $11. Below that price point, The Fly will sling $5 Buds and sours, saisons, and IPAs from local brewers starting at $8. Clockwise from left: the lemon drop, scotch and ginger, and spritz. Photos: Melissa Hom.